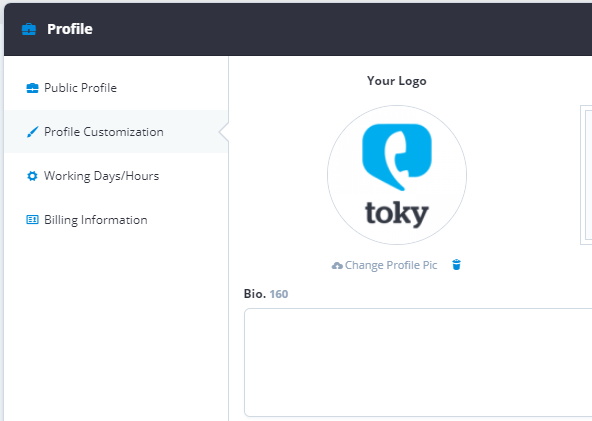 The business logo is displayed in the Toky live calls widget and call link. 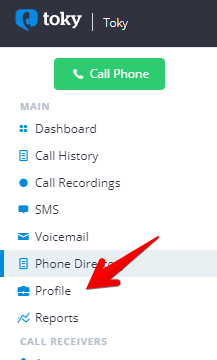 You can change it in your Dashboard and clicking on the Profile option in the side menu. In the Profile window select Profile customization and you can upload your business logo.